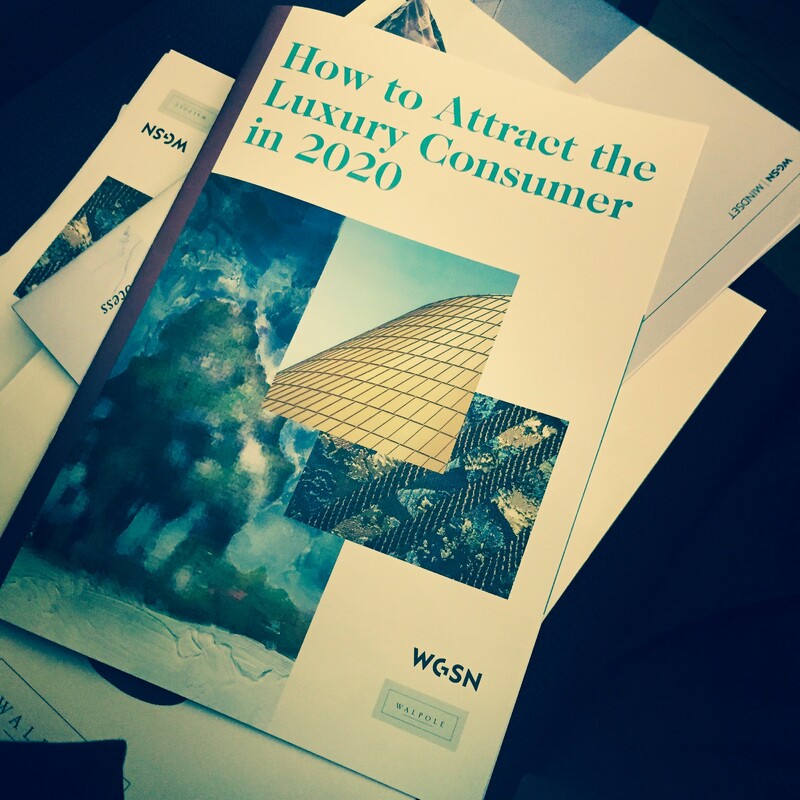 The WGSN report, ‘How to Attract the Luxury Consumer in 2020’, was launched today at the annual Walpole Press Day, revealing the top three most effective trends to lure luxury consumers over the next five years. According to Walpole members, the top three most effective trends will be exclusive collaborations with relevant partners (78%), secret and exclusive brand experiences (59%) and personalised online experiences (e.g. notifications) (53%). Two key trends – the rise in omnichannel purchases and the need for physical experience – have prompted what WGSN calls the ‘phygital’ tsunami: physical retail experiences, combined with digital browsing. The survey was formed from this concept to understand the most engaging and relevant tactics to bridge the gap between online convenience and offline experiences. Attendees heard from WGSN trend experts and senior directors, as well as from Walpole members Ettinger, Gieves and Hawkes and Thomas Pink, who discussed the importance of the findings to the British luxury industry and the practical measures brands can employ to steer industry success. Among the insight shared, the key learning for the industry was the need for brands to engage with their consumers on a deeper level; to inspire and enable them through exclusive, personalised digital content. The top three trends identified were almost twice as popular as the others surfaced during the research, which included: 360-degree brand experience (e.g. creating fun, cool, and off-the-beaten-track experiences) (41%), incorporating art & culture (e.g. sponsored art exhibitions, promoting favourite books or art) (37%), brand and retail experiences that illustrate a dedication to sustainability (31%), an unfiltered look behind the scenes (e.g. Snapchat, Periscope) (25%), the store as the new home (e.g. retail spaces modelled after home interiors) (25%), and food offers in stores (10%). The popularity of the top three trends showed clear alignment across the sector on their viability for helping to change the retail space. The insights provided in this survey are typical of the strategic advice from WGSN’s consultancy division, WGSN Mindset, who help companies navigate these challenges on a regional basis. WGSN (www.wgsn.com) is the world’s leading trend authority, serving fashion and creative-led companies in over 94 countries. Our services cover fashion and lifestyle forecasting, data analytics, crowd-sourced design validation and expert consulting. We help drive our customers to greater success. Together, we Create Tomorrow. Walpole is a unique alliance of 170 of Britain’s finest luxury brands, including Burberry, Alexander McQueen, Rolls-Royce Motor Cars, Boodles, Harrods and Jimmy Choo. Walpole’s programme of some 40-plus industry events provides networking opportunities with senior executives, and includes the Walpole British Luxury Awards, Seminars, Workshops, Media Events, Meet the Members events and overseas initiatives. Walpole lobbies the UK and European governments on issues which affect its members, including the China Visa issue, ‘Made in’, counterfeiting and selective distribution. Walpole’s thought leadership work and research provides valuable industry insights and data to improve and enhance members’ businesses.